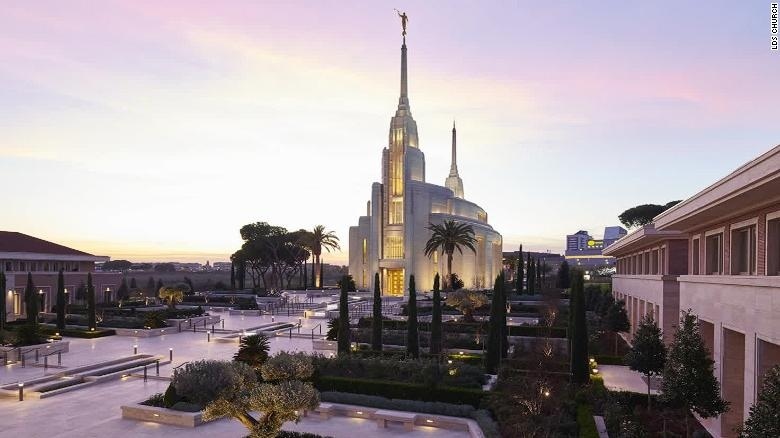 AKIPRESS.COM - Italy's first ever Mormon temple opened on Monday, just a few miles up the road from the Vatican, in the Eternal City of Rome, CNN reports. While the building's spires don't reach the heights of St. Peter's 450-foot-high dome, the Pope's new neighbors hope their temple will also become a place of pilgrimage for spiritual seekers. Elder Ronald Rasband, one of 12 men known as Apostles who govern the Mormon Church, says the choice of Rome is based on its history as the center of Christianity. "The early apostles served and lived and were martyred here in Rome," he told CNN, "so this is the place that our prophet (President Russell M. Nelson) felt the temple in Italy should be." Rasband says Mormon leaders discussed their plans with the Vatican and that the two churches often work together on social issues. The 40,000-square-foot building is made of Italian marble and granite. While the church won't reveal any costs, no expense has been spared in this house of God, with sparkling Swarovski crystal and Murano glass chandeliers set in 24-carat gold adorning its rooms. Mormon temples are used mainly for baptisms and marriages, and only members of the faith in good standing may enter their inner rooms.